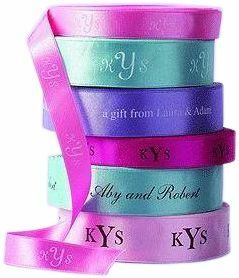 Printed satin ribbon w/ customized logo. Your logo can also be printed. It's great for makeups, favors, gifts, jewelry, and may be used for other purposes. Assorted sizes and colors are available.